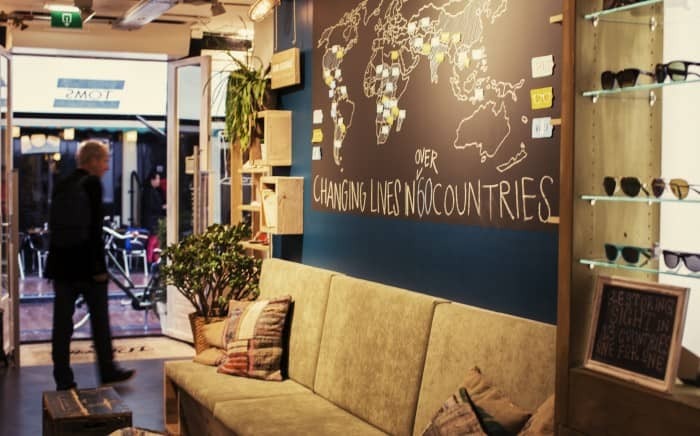 When TOMS decided to bring its EMEA headquarters to Europe in 2012, the L.A.-based footwear company found a home in Amsterdam, where fashion, social innovation and creativity collide. Referred to as the “one for one concept,” TOMS’ business model consists of delivering a free pair of new shoes to a child in need for each shoe sale. This innovative blend of for-profit and social entrepreneurship has garnered the company much recognition worldwide. Once the company had chosen the Netherlands, Amsterdam was the obvious location for its office. “Amsterdam is a hub for social innovation, sustainability, creativity and fashion,” said Johnston. And it has proven to be the right choice. “The city has definitely adopted TOMS,” he added.